Dr. Bieber was born and raised in Queens and has maintained a private dental practice in the Bayside area since 1984. He graduated New York University College of Dentistry in 1983 and completed a general practice residency at Interfaith Medical Center in Brooklyn, NY. 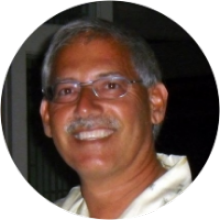 He is a member of the ADA, NYSDA, and QCDS and regularly attends continuing education courses to keep on the cutting edge of new dental procedures. Dr. Bieber's state of the art dental office has everything one needs to enjoy a comfortable visit to the dentist. Dr. Bieber has been married over 34 years and has two children. I took a chance on Dr. Bieber when I went in for the first time a week ago. I didn’t read any online reviews. Dr. Bieber was great, and so was the staff. They were all kind and gentle and listened to my needs and concerns. The office is spotless, she wiped each machine after each use. I could tell the staff enjoys working there. I can’t wait to go back. Dr. Bieber is great. I am from out of Bayside but am looking forward to coming back. My old dentist in Oakland Gardens retired and it has been a while since I saw anyone else. Dr. Bieber is my new dentist, but it’s still the same kind of staff and hygienists. Dr. Bieber is very nice and is a great fit for this dentistry. Everyone seems to like him. I actually look forward to going to this dentist. He’s very knowledgeable and I look forward to remaining his patient. The office girls and hygienists are very nice. This is a great dentist in Oakland Gardens NY. They really care about their patients, you and your dental health are their number one priority. They are easy to talk to and want to get to know you and your dental health. This helps him understand what treatments you’ll need and how to prevent future issues. His staff is full of true professionals, and they’re all kind and knowledgeable. I recently had shoulder surgery and then went into the dentist a couple weeks later. I was so sensitive that even getting slightly bumped in the shoulder would cause severe pain. They really listened to my concern, and never bumped me, even though they were working on me for an hour. My comfort was their top priority, and my teeth look great thanks to them. I would recommend this place to anyone looking for a new dentist. Unlike dental insurance, a direct dental plan with Dr. Bieber and Doctors Network is a membership that gives you access to significant discounts on almost all of our services. Everyone can join for a low monthly fee of $29.99 and a one-time activation fee of the equal amount. The cost of membership is typically a fraction of most dental insurance premiums. Patients who sign up for a direct dental plan through our office in Oakland Gardens can attend routine preventive exams and cleanings for only $25 per visit. This includes X-rays, when necessary, and the cost does not change no matter how many times you visit per year. When cosmetic or restorative treatment is required, the costs of your treatment will be discounted by up to 90%, including fillings, dental crowns, dental implants, Invisalign® and more. Dr. Bieber, our team, and the experts at Doctors Network share the common goal of making dental care simpler, more affordable, and more attainable for all of our patients. Please note that a direct dental plan is not insurance, and is not designed to replace your existing coverage. We offer this direct dental plan to help reduce your out-of-pocket expenses and therefore maintain your oral health. If you have questions about Doctors Network, or are ready to sign up, then contact Dr. Bieber at Bruce M. Bieber DDS today, or call Doctors Network at 1-866-800-3168. General dental care is as essential to your smile as brushing and flossing your teeth. For example, checkups and cleanings are necessary to prevent dental health complications like tooth cavities and periodontitis. At our Oakland Gardens, NY dental office, Dr. Bieber and our team offer a variety of general dentistry treatments to help your family enjoy a lifetime of beautiful, healthy smiles. In both your oral and overall health, prevention is vital. Therefore, the main focus of family dental care is preventing issues from developing in the first place. Besides keeping your teeth clean with good hygiene, professional dental cleanings and check-ups help stop the accumulation of oral bacteria into plaque and tartar. Other procedures, such as tooth fillings, dental crowns, Invisalign® aligners, and more, can also help you manage existing issues before they grow worse. At your general dentistry appointment, your dentist will carefully perform a comprehensive dental exam for signs of trouble. If any are present, then he or she will consult with you about appropriate treatment options to stop the issue from worsening. However, caring for your smile will still rely on maintaining good hygiene and regular general visits to your dentist’s office. Make an Appointment with Your Oakland Gardens General Dentist Today! By emphasizing the value of prevention, general dentistry is essential to keeping your smile healthy and beautiful. To schedule a consultation, call Dr. Bieber's dental office in Oakland Gardens, NY today at (718) 464-7556.